Did you know that, in the 40 minutes it takes you to commute to work, Bitly users have created 861,000 Bitlinks, that's more than 31 Million Bitlinks created each day, and that, during the hour you spend on your lunch break, 12 Million Bitlinks were clicked that's more than 286 Million Bitlinks clicked every day. 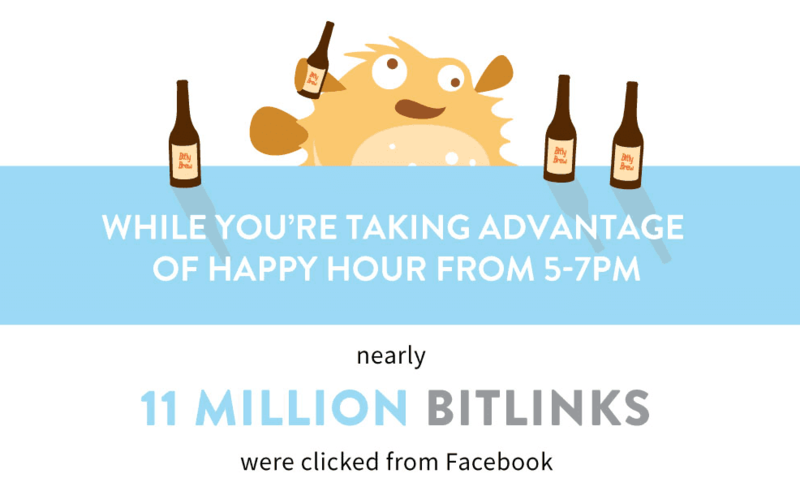 "Bitlinks may be short, but Bitly is big. With more than 600 million Bitlinks created each month in nearly every country in the world, there is a lot of power behind this platform." This infographic from Bitly (a web and social media link shortening app) looks at what goes on at Bitly every 24 hours.